Gurii Ivanovich Marchuk is an outstanding specialist in the areas of numerical analysis, physics of atmospheric processes and geophysics. Gurii Marchuk was born on the 8th of June 1925 in a village of Petro-Khersonets. 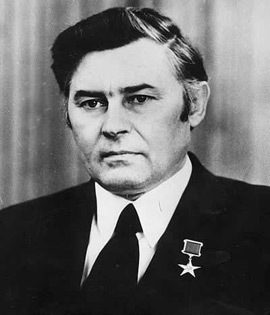 He was the chairman of the Siberian branch from 1975 till 1980. Since 1986 till 1991 Gurii Marchuk was the president of the Russian Academy of Sciences. In 1980 Gurii Marchuk received the Keldysh medal of the Russian Academy of Sciences for his research on new methods for mathematical modelling. In 1996 he received the Chebyshev medal for outstanding work in mathematics.